Up to two process heads are mounted on the high-dynamic, high-precision Micro EDM CORE X-Y-Z Module. This module is the core of the machine and is optimized for micromachining performance. This module is carried by the positioning axis U, V, while the part is positioned with the W, A, B axis. 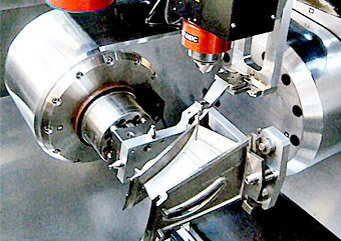 The Automatic Electrode Changer guarantees long machining autonomy. 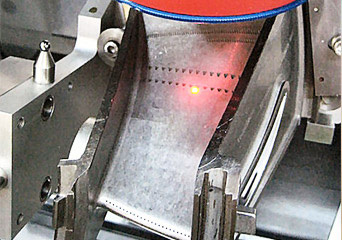 Electrodes of different diameter can be automatically used with the Multi-Diameter collet. 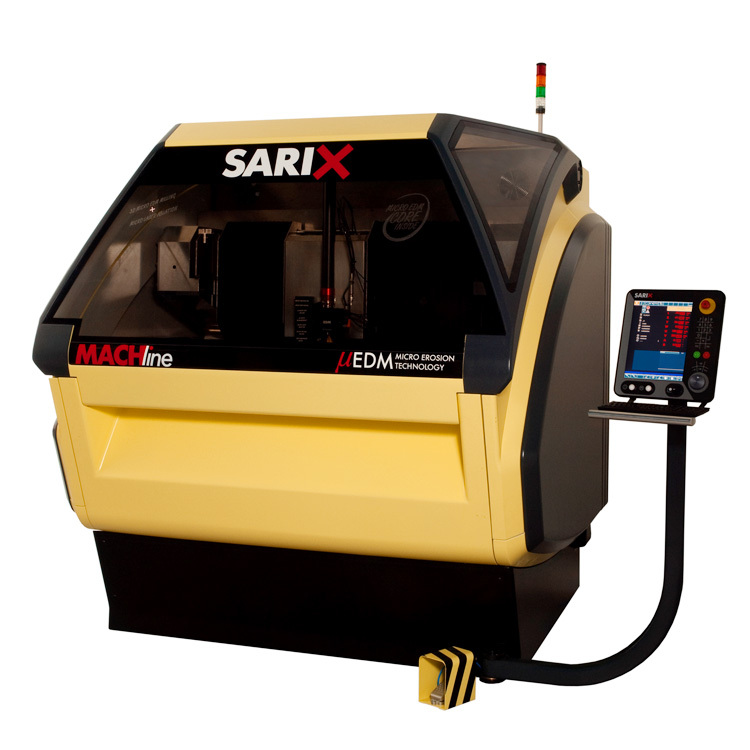 Complex cavity structures and high profile casting are machined by the High Speed EDM Drilling process with the proven SARIX Breakthrough Detection. 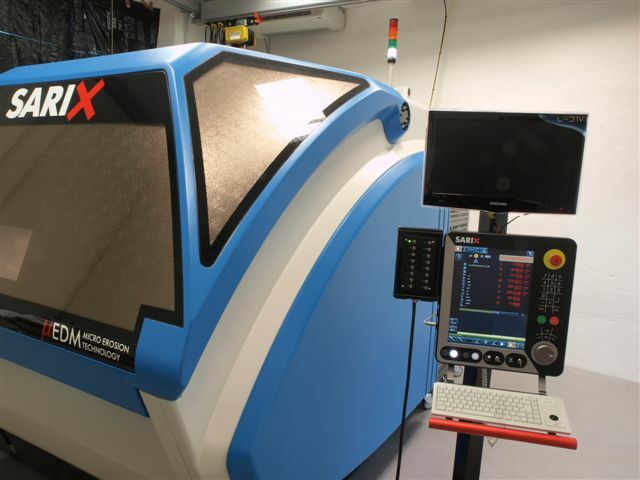 Programming a part with round holes or diffuser holes is easy even on complex surface parts thanks to the SX-CAM Aero, developed specifically for the turbine industry. All EDM axis are concentrated in a core unit, a X-Y-Z module that is lightweight, very accurate and with high dynamic. 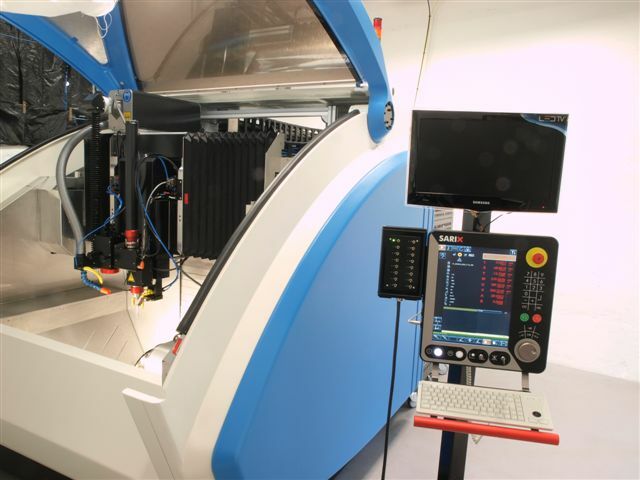 Large positioning axis U, V, W applies the micromachining precision to larger parts. 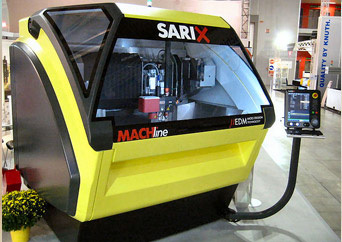 All features of the MACHLine models are optimized for productivity. The optional tool changer unit automatically loads electrodes of different diameter.